Inspired and engineered to work with the new shades of Be Legendary Lipstick, new Always Sharp Clear Lip Liner is the ultimate secret weapon for a foolproof statement lip. 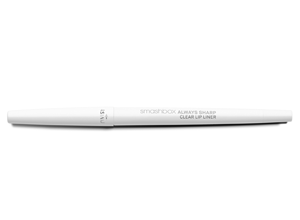 Created for the professional make-up artists at Smashbox Studios, the transparent liner keeps colour right where you want it. Its see-through finish means reds retain their vibrancy and pinks don’t lose their pop – and you can even apply it without a mirror. Availability: Selected Woolworths, Edgars, Red Square and Foschini stores. One of my fav liners! Amazing color, always sharp and long lasting on the lip. A bit pricey but worth it.